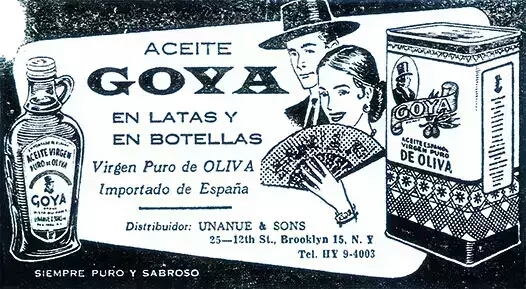 The history of GOYA® began in 1936, when the company was founded in Manhattan (New York) by migrant Prudencio Unanue, who along with his wife Carolina, left Spain for Puerto Rico, which was their first step towards the American dream. 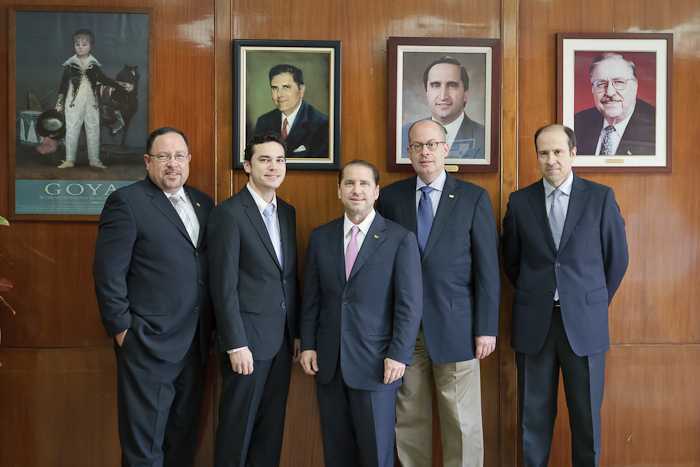 The Unanue family acquires a small processing and packaging factory in San Juan de Puerto Rico (in the Río Piedras area), for pigeon peas destined for the United States. 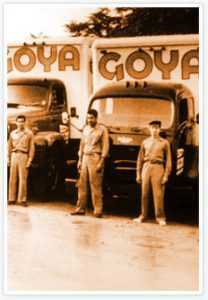 Two years later, in 1951, GOYA® began to sell its products in Puerto Rico, as GOYA® Puerto Rico. 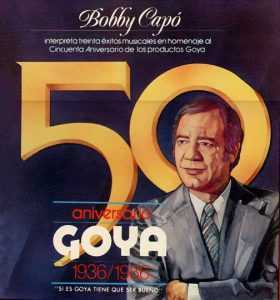 The company grew, and in 1953, due to increased sales and the need to expand its production, GOYA® acquired new land in the municipality of Bayamón. Four years later, in 1957, GOYA® grew and received authorisation from the United States Department of Agriculture (USDA) for processing meat. 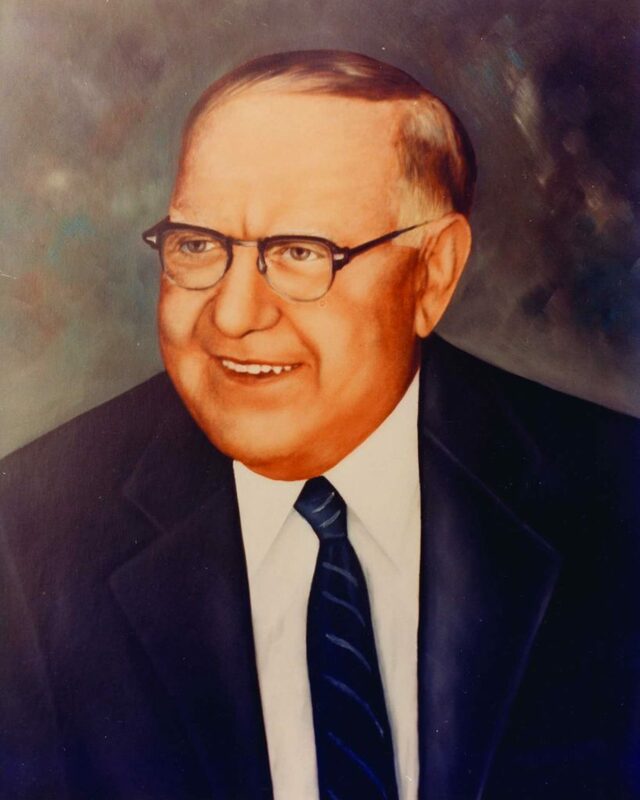 This allowed the expansion of packaged string beans and kidney beans to include other typical Puerto Rican foods such as tripe, meat stew and various pies. 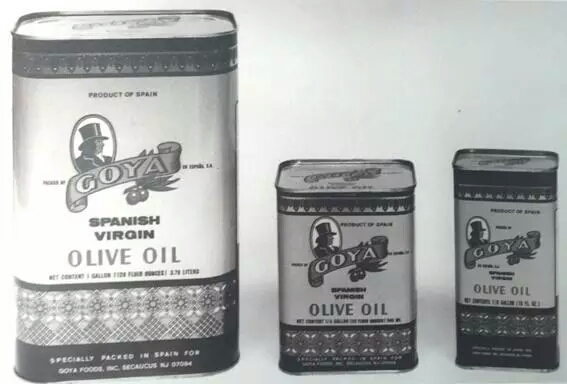 In the 1960s, GOYA® expanded its facilities, and for the first time began production of is tomato sauce and tropical nectars in Puerto Rico. 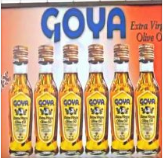 In 1966 it began production of the GOYA® marinade and other spices that were very well received by consumers from Puerto Rico and the United States. In 1971, the group established GOYA® Santo Domingo in the Dominican Republic. This subsidiary specialised in the planting and processing of pigeon peas and tropical fruits, focused on the production of GOYA® coconut milk, coconut cream and fruit pulp, juice and nectars. GOYA® Spain began its operations. Initially its facilities in Alcalá de Guadaíra (Seville) were comprised of an olive oil and olive processing and packaging plant, for export to the United States. 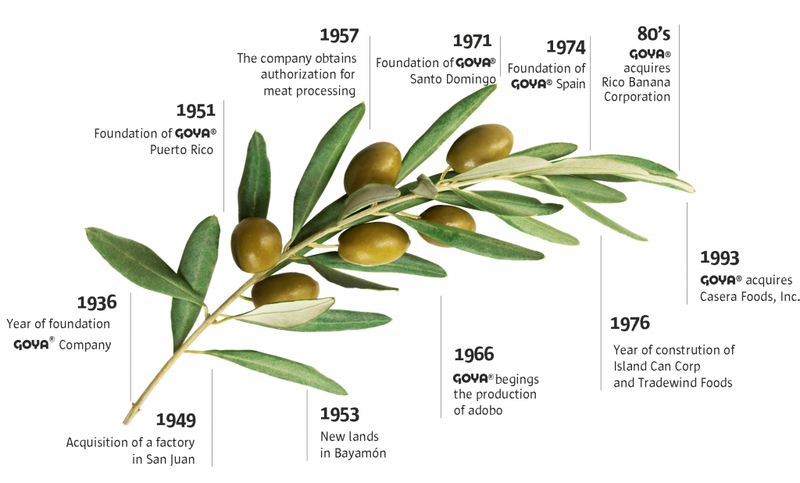 Thanks to the creation of this plant, control and mastery was acquired over the oil and olive supply chain and its quality. 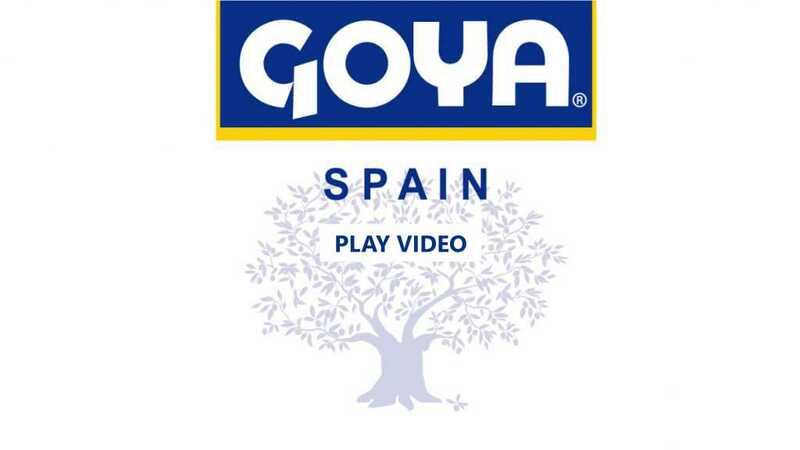 This was the reason for the creation of GOYA® Spain. GOYA® Puerto Rico constructed its Island Can Corp and Tradewind Foods can factories for packaging spices. Island Can Corp gradually expanded its can production lines, with a total of three in 1983. The packaging production line has expanded to the present day with the acquisition of different factories which have allowed greater specialisation in the production of cans, bottles and containers. 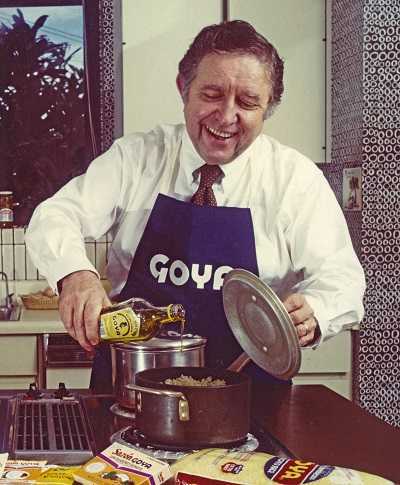 In the 1980s GOYA® acquired the firms Rico Banana Corporation and its Carro brand, in 1993 acquiring Casera Foods, Inc., a subsidiary of Campbell’s Soup Company. 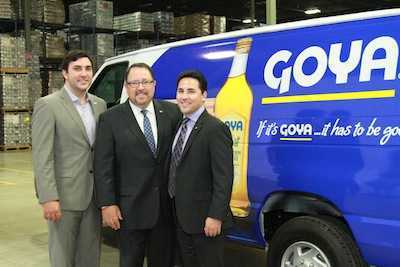 Its constant growth has led GOYA® Puerto Rico to become the largest manufacturing plant in Latin America and the Caribbean. 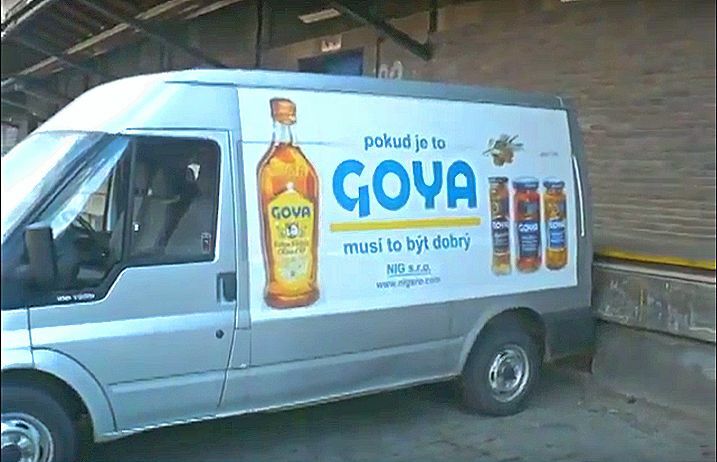 With a staff of over 600 employees, its facilities produce and package several of the most famous GOYA® products such as juices and nectars, tomato sauce, marinade, string beans, sofrito and spices. With a global presence in over 20 countries, GOYA® products are firmly established in the United States.